Summary: The gross inequalities in British wealth distribution needs to be substantially rebalanced by combining strategies to make the poor richer and to make the rich poorer. A great deal of the wealth held in the UK is in the form of assets and in particular property. Making the investment in property much less attractive is key to reducing inequality. A number of approaches are outlined that could lead to a substantial reduction in house price inflation. In particular, a radically new tax is proposed on the continuing growth in property valuations. By reducing house price inflation rates it would benefit millions of young people hoping to get on to the housing ladder. Since the financial crisis in 2008 there have been rapid divergences in the fortunes of the rich and the poor. The availability of cheap money has allowed investors to make fortunes while the recent government obsession with austerity has made the majority of the population significantly worse off in real terms. The UK is already one of the least equal countries in the Western world. Reversing this trend must be a combination of making the poor richer (for example by increasing the minimum wage, reigning in some restrictive employment strategies such as zero hours contracts, improving benefit baseline levels, increasing the basic income tax threshold etc.) and by making the rich poorer. It is very important to address how the rich should be made poorer since it is the overt and visible extravagance of many lifestyles that underpins the perception of gross unfairness in the way things are today in the UK. We should expect this to be unpopular with the right-wing media! The obvious approach of increasing taxation for the rich has merit, reintroducing the 50% tax rate abandoned by George Osborne and perhaps setting the threshold at a lower level of £100,000 taxable income. National insurance payments on taxable income above £43,000 could also be increased from their present level of 1/6th the level paid below that threshold. Public opinion will probably demand substantial penalties for companies that pay grotesque levels of salary and/or bonuses but it is important to appreciate that the wealth underpinning the rich is principally that they hold very substantial assets, and that the increase in wealth derived from asset appreciation is usually much greater than that actually earned in the form of salaries. Unless the growth in asset value is contained then the inequality we already find unacceptable and unfair will simply continue to increase. Stamp duty is already charged at a very low level on the buying and selling of equities and bonds (typically 0.5%) and this could be increased. However it is easy to move bond and equity trading offshore so an increase may not be very productive without a lot of complicated safeguards. The main asset class that is easy to access is property since it cannot be moved overseas and is relatively easy to value. The shortage of housing in the UK has, for many years, been quite scandalous. 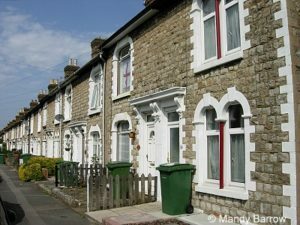 A major overhaul of our housebuilding strategy is long overdue and some radical ideas about how this might be addressed are analysed in an accompanying post on Outsidethebubble.net entitled “Solving the Housing Crisis”. By building many more houses and in particular affordable houses, the upward pressure on house prices from the extreme shortage in many parts of the country should be eased. However the very rapid growth in property prices must be counterbalanced by taxing the above inflation growth in those property prices. Proportional Council tax levels must be extended to much more valuable properties than at present. Many of the exceptions made for unoccupied property and second (holiday) homes must be removed. However many of these changes are still not addressing the key underlying problem which is that property in the UK is an extraordinarily good investment, growing way above the rate of inflation and making it almost impossible for young people to ever get on the housing ladder. At present property is essentially taxed (apart from your main residence) when properties are sold or inherited. Buy to let properties owned by a small landlord are therefore taxed but properties of any sort that are sold by a business are not taxed explicitly. Taxation of those profits comes from dividend income tax or corporation tax. The income from a commercial sale may be reinvested in another property and the existing appreciation in the value of the property is preserved in full. This contributes to property price inflation. Introducing a property sales tax would create a mechanism to return significant amount of property appreciation values to the Exchequer, throttling back property appreciation rates and making property a significantly poorer investment. This in turn would actively push down property prices. In this section I want to layout a radical new framework to be used to tax continually but fairly property price increases. We start by recognising that average figures for the typical prices of different kinds of property are published regularly by organisations such as the Nationwide and Zoopla. We may think conveniently of residential accommodation but the tax described here is intended to apply to all kinds of real estate including commercial property and land. For each property above a certain threshold the typical price increase in a year is determined from published data. If that price increase was, say, 6% and we had a tax rate of one third then the tax due would be 2% of the current price of the property. The owner of the property does not have to pay that tax but the following year the owner only owns 98% of the property and the state owns 2%. If again the following year a similar price increase of 6% applied then the value of the property would be reduced by 2% of 98% or 1.96% so that the owner only had 96.04% of the property and the state 3.96%. This would continue each and every year. Effectively the state takes a charge on the property that increases each year. The actual numbers do not matter because they are only realised when the property is eventually sold. We are only accumulating percentages and not absolute amounts. If the tax rate was one third then simply the difference between the purchase and sale price is what is actually taxed at one third not the accumulation of all these above calculations. However an individual should have the opportunity of paying for example two thirds of the tax due in one year so that he or she can then keep 100% of the property. In this case the owner needs to establish the value of the property before and after the year in question. The valuations can be provided centrally again by using typical price increase rates for that type of property over the period in question. Should the owner disagree with those valuations then he or she would be entitled to use independent valuations instead. In this way money flows from property price appreciation directly to the Treasury. This reduces the amount of capital being created in property by inflation and returns that to the Treasury. It can be shown that the maximum tax payable on a property owned for a very long time and bought for a very small amount of money is never more than the tax rate, such as the value of one third used in these calculations. In the case of the sale of someone’s main residence the tax due is established using the above formulae. Should the individual wish to purchase another property and not pay any of the accumulated tax then the new property will end up by being partly owned by the state who will have invested the tax due in this new property. Any other sales or transfers would necessitate payment of the tax due in full at the time of sale. For owner occupiers this taxation approach will make very little difference compared with the present situation until the property is sold for the last time. The critical difference here is that all other property will then be taxed whenever it is sold with the owner having the ability to preserve value by paying two thirds of the tax as it arises on a year-to-year basis. This form of taxation might appear to be a very complicated way of deriving much the same taxes that are taken today. With a constant tax rate (the one third used above) that may be true but it does allow rather different way of taxing that reigns in very large rates of property price inflation. Rather than use the one third mentioned above, the rate could be for example 2/3 of the rate of inflation above the consumer price index (CPI). A relatively high tax rate of that sort would have a much greater effect on the overall rate of price inflation.